The program outlines the potential hazards associated with these 3 types of access/egress and shows ways these hazards can be reduced or eliminated. 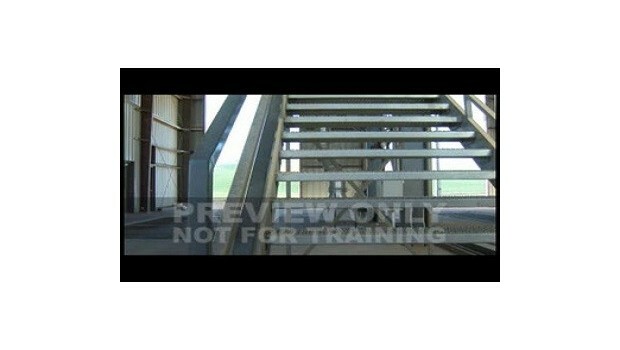 This program examines potential fall hazards when working at a grain elevator. The primary concerns are fixed ladders, stairs and catwalks. The program outlines the potential hazards associated with these 3 types of access/egress and shows ways these hazards can be reduced or eliminated. Proper inspection procedures along with safe rules of use are presented in a concise, to the point manner.